AgriTecno will take part in the next 18th International Plant Nutrition Colloquium (IPNC). The Colloquium will be held 21 – 24 August 2017 in Copenhagen, Denmark. The venue will be the Tivoli Hotel and Congress Center, situated right in the middle of Copenhagen. Since its beginning in the early 1950’s, the IPNC has grown to become the most important international meeting on fundamental and applied plant nutrition. 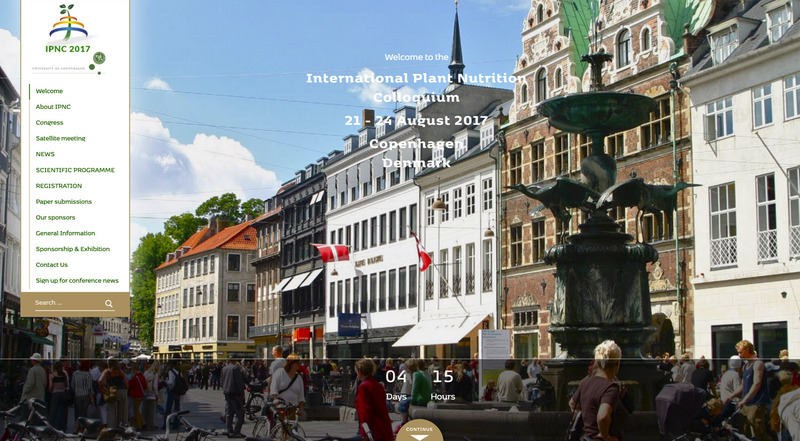 The main theme of the 18th International Plant Nutrition Colloquium is: “Plant Nutrition for Global Green Growth”. This theme has been chosen to highlight that plant nutrients are fundamental for successful intensification of the global crop production. This intensification is required to meet the demands of the future bio-based society for nutritious food, feed and raw materials. You can visit the colloquium website to ger more information about it.